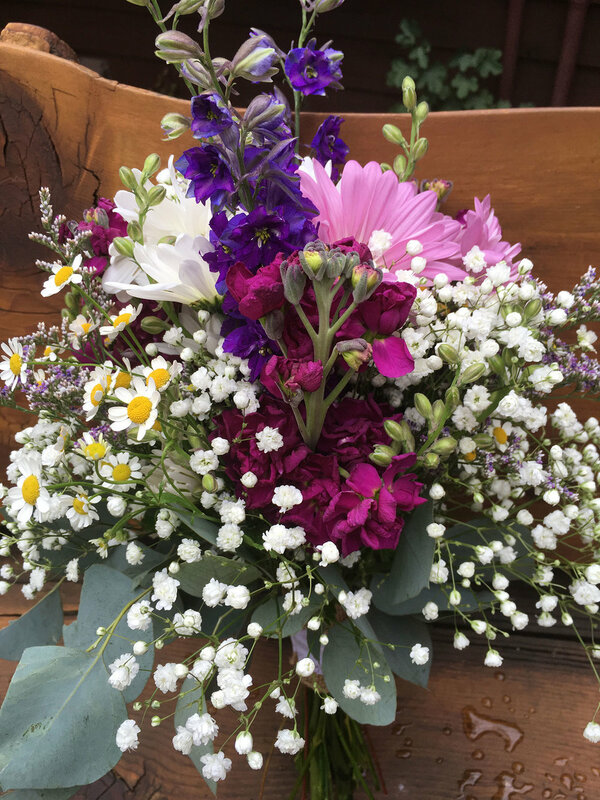 Bridal bouquets, wedding flowers, special event flowers. serving winter park, fraser and surrounding areas of grand county. boutonnieres, corsages, flower petals, centerpieces, alter decorations and arrangements. 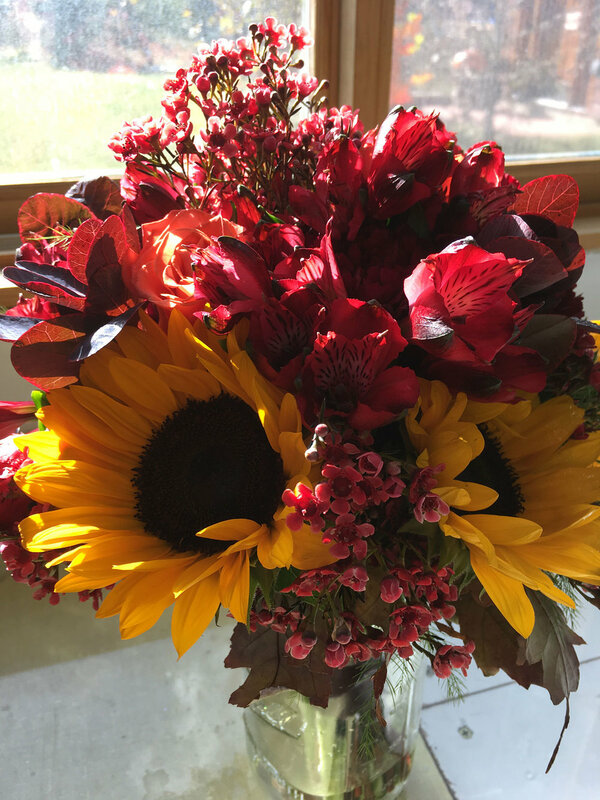 Let our experienced floral designers make your special event EXTRA special. We offer free wedding and special event consultations so you can discuss your vision. And if you are not yet sure what you want we can make suggestions and pull it all together for you and help make it a day to remember. 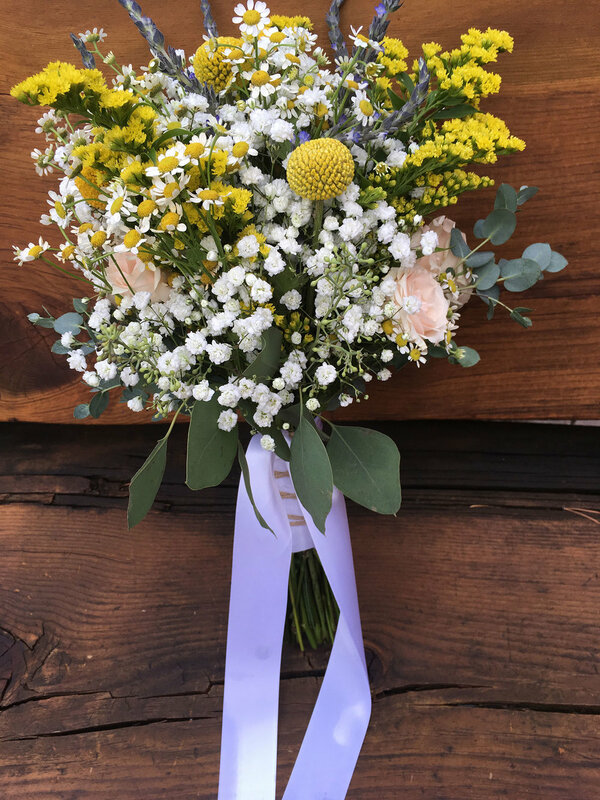 We do not have prices listed with any of our bouquets because prices on the floral market vary greatly from one week to the next. Not all flowers are available year round either. Please call us for pricing and availability. 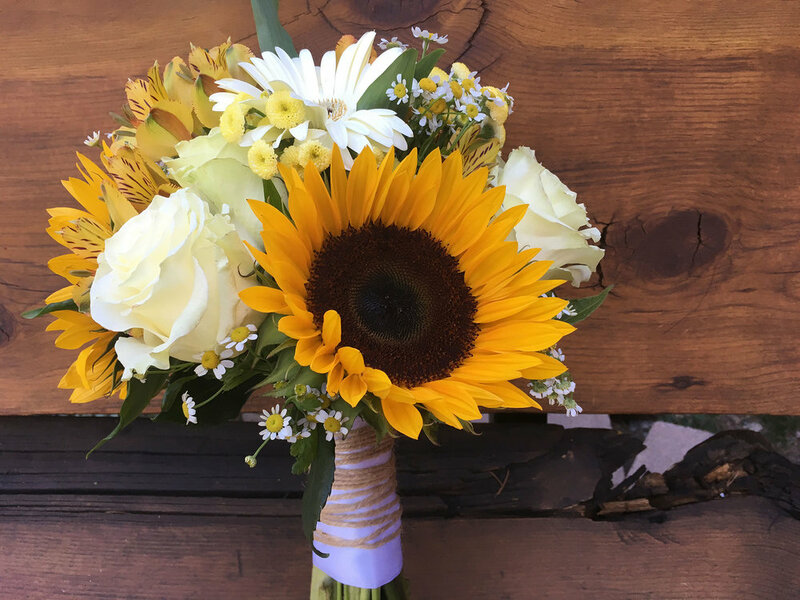 Many of our brides do everything by phone or email because they are planning from a distance, but we also welcome in shop consultations. WEDDING CONSULTATIONS ARE BY APPOINTMENT ONLY PLEASE. luscious brides bouquet with dahlias, roses, astilbe, ranunculus and lambs ear all in very muted colors. Bridal bouquet, big beautiful and rounded made up of dahlias, roses, astilbe and ranunculus. It is stem tied and wrapped with gold ribbon. This shot shows a close up of a pretty peach garden rose. 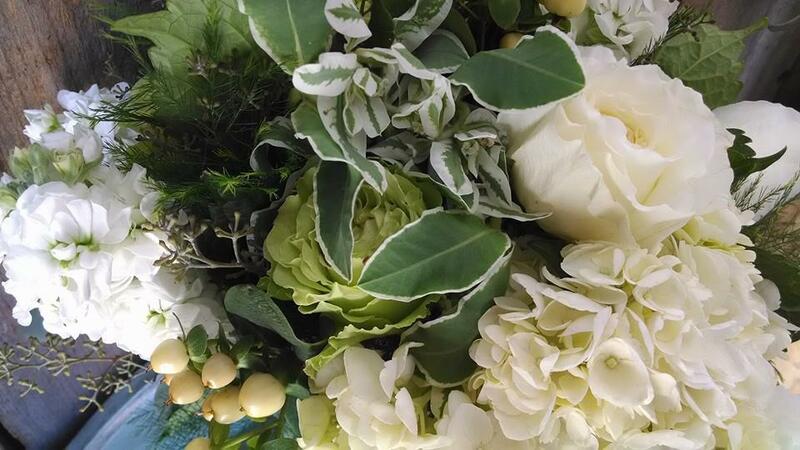 White hydrangea and stock with white green roses and white hypericum made this one big and beautiful.